I read in another forum reply that version 3.x will be released soon - I use the Pro version, in there any news on what changes or new features will be in version 3 please? We are working hard, it will be released in April. V3 is very excellent, you will love it! Can you write generally if some new functions will be introduced? Will this be only improvement of working Wise Care 365? Sorry, I cannot disclose details about V3. It is highest secrecy level. Today I checked and downloaded new update Wise Care 365, ver. 2.95 to ver. 2.96. Something new? Apple Software Install Cache,Microsoft Security Essentials logs and update cache,Windows Installer Cache cleaning added. Wise Care 365 v3 Beta is released. Please help us to improve it! No problems so far with the various options & looks a great update! - One though thing I find very annoying is that closing the program merely puts it into the taskbar, & while I appreciate some users want 365 to start with Windows & or like 365 to run in the taskbar when supposedly closed I certainly don't, even more more annoying is that when I right click the taskbar icon to close it I get a dialogue box asking me do I really want to close it? I like as few programs as possible running (cluttering up) OR in my taskbar, please add an option that when I close 365 it really closed it & remove it from the taskbar? Whether or not 365 is using any resources or not I would still like it to close it totally. Regarding the defragmentation option module, I will still have to continue using my other defragger as there is no option to do a boot defrag in 365, this really is needed to defrag Windows files in use & would be a good addition, most other defraggers offer boot defrag. Not meaning to be critical just offering my opinions & overall version 3 is a big improvement. I have a Lifetime license for 365 Pro, will the Beta pick up on that license, or will it install the Free version of 365 v3? Will the Beta overwrite my current v2.x installation? License key of v2 can be used in v3. Is the possibility change of the temperature individuals from Fahrenheit on Celsius? How do this? Yes, but you need to modify it manually. 1, open wise care 365's installation directory. Why didn't they put both Fahrenheit and Celsius to the program instead of only one? You're welcome!..how to remove problems manually which has left out while cleaning? 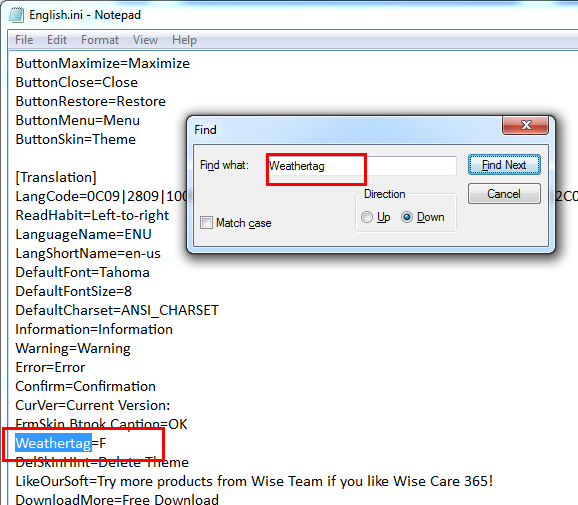 Do you means, use wise care 365 Portable version to load wise auto shutdown portable version? Other programs must be installed.